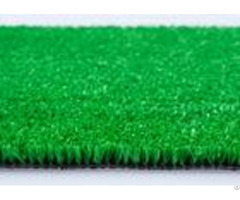 35mm Luxury high density and durable synthetic turf for Swimming Pool synthetic turf Specification: - - - - Model No. 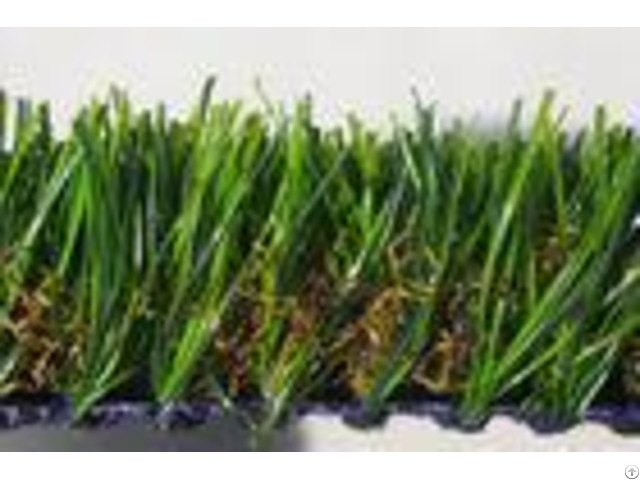 : | Y5 synthetic turf | Pile Height: | 35mm | Gauge: | 3/8 inch | Stitches: | 170/m | Density: | 17850stitches /sqm | Dtex: | 13600 | Color | four tones | Pile Material: | UV Resistance [Monofilament] PE +PP curl | Backing: | double layer PP +mesh | Coating Backing: | PP+NET+SBR Latex | Guarantee: | 5years | Delivery time: | 7-15 days after the receipt of the advance payment | Package: | Packed in rolls (4x25m, 2x25m), with PP cloth. | Payment terms: | T/T, L/C at sight, other terms need to be negotiated with sales person. | - - - - Quality is our culture: Competitive Advantage of synthetic turf: Proprietary technology for amazingly fast, clean drainage Unique multi-colored blades match the look & feel of real grass No need to mow, water or fertilise An artificial lawn is durable and will last for many years Children and animals love our lawns as much as we do Artificial grass can even be used indoors, for example in a bedroom or office space Drainage Hole: On Backing there is Drainage Hole and when it rains, easy to drain. Packing and shipping: 20ft container could load about 2200 sqm 40 ft container could load about 5500sqm Roll size: 2m/4m/5m width*25m length Package: Packed with PP cloth and plastic cups Packing in rolls with PP cloth and plastic cup in the two ends which could protect grass when shipping and easy to stock shipping marks could be designed according to your requirement, which is easy for you to classify the different kinds of grass Installation of Pets Turf: 1.Pitch Design 2.Dig Out the site 3.Lay Water-permeable underlayer to match the sports and climate requirement 4.Roll Artificial Grass rolls out and glue them 5.Fill with sand and/or rubber infill FAQ: 1. What's the MOQ? The MOQ is 300-500sqm. 2. 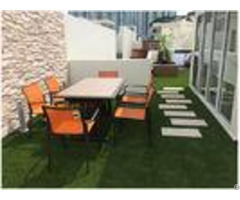 Will Grace Grass Artificial Grass Be Maintenance Free? Compared to a natural lawn it will be virtually maintenance-free.The amount of maintenance varies depending on usage and location, but all synthetic grass require some care to keep them looking new and fresh.If the lawn sees a lot of foots and activity, the grass blades may get matted down. This is easily dealt with by brushing lawn with a power broom every so often. If the lawn gets excessively dirty, it can simply be rinsed by water. 3. Is Your Artificial Grass UV Resistant? All of our products are designed to withstand the harsh climate. They are manufactured using state of the art UV stabilised materials to protect against fading and deterioration in harsh climates.Our specialised yarn has been created with a soft yet robust yarn which feels really great and looks naturally green all year round. 4. Does the synthetic turf fade? Over time all synthetic turf will fade slightly. This is not usually noticeable to the naked eye. All our prducts are UV protected and designed to suit the harsh climate. 5. Is your backing durable and how about the drainage? Our high quality backing is designed for long-term durability, so it doesn't stretch or shrink with heavy traffic or with changes in temperature. The backing has perforations every few inches so that the grass drains quickly even after a heavy rainfall. 6. What kind of artificial plants can you provide? 1). About size, we can provide different sizes, usually as customers size and design. 2). 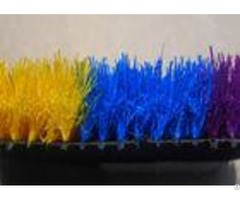 About material, we use high quality material or according to customers requirement. 3). About color, we can make as your need. Our service: Consultant: To ensure our customers highest satisfaction, our knowledgeable staff providing the consultant service which make sure our clients have the most ideal application for the sports field or landscaping decoration. Marketing: Our marketing team are experienced in all kinds of marketing activities. You communicate with knowledgeable staff who can answer any of your artificial turf questions. Raw materials: Only brand-new and qualified materials are allowed to be used for our production, no recycle or wastage material allowed. Only qualified products are allowed to release out of our factory. Proper guarantee from 5 to 10 is given to every product.